Typical applications for this type of electrical transformer are motor control, machine tool control, control panels, machine voltage conversion, distribution boards etc. 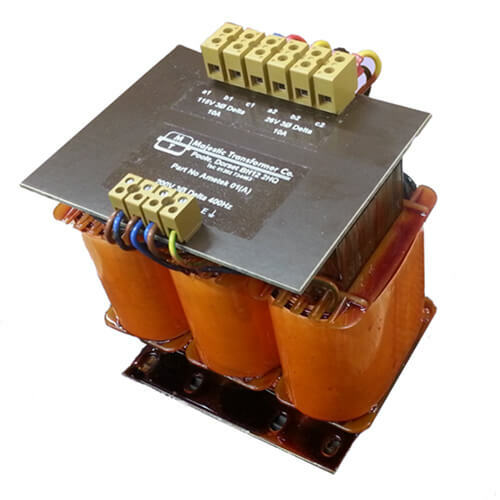 The transformers are supplied as open types with steel angle frames for mounting on either terminal blocks, rail terminals or nickel plated brass stud connections. Virtually any combination of voltage and current can be supplied on primary and secondary. A range of supply frequencies, 50 Hz, 60 Hz or 400 Hz can be accommodated. In addition, multiple primary and secondary windings can be accommodated. Complex or high voltage windings may require a larger frame size to be used to accommodate the windings. 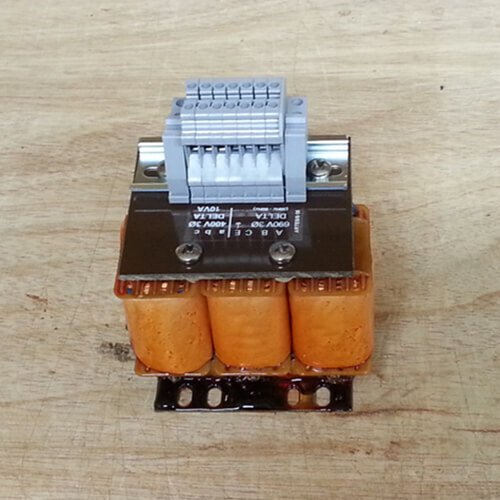 Transformers in this range can also have fuses fitted on the top panel.